"What is written about Me is coming to fulfillment," Jesus says in today's Gospel (see Luke 22:37). By the close of today's long Gospel, the work of our redemption will have been accomplished, the new covenant will be written in the blood of His broken body hanging on the cross at the place called the Skull. In His Passion, Jesus is "counted among the wicked," as Isaiah had foretold (see Isaiah 53:12). He is revealed definitively as the Suffering Servant the prophet announced, the long-awaited Messiah whose words of obedience and faith ring out in today's First Reading and Psalm. The taunts and torments we hear in these two readings punctuate the Gospel as Jesus is beaten and mocked (see Luke 22:63--65; 23:10--11, 16), as His hands and feet are pierced (see Luke 23:33), as enemies gamble for His clothes (see Luke 23:34), and as three times they dare Him to prove His divinity by saving Himself from suffering (see Luke 23:35, 37, 39). He remains faithful to God's will to the end, does not turn back in His trial. 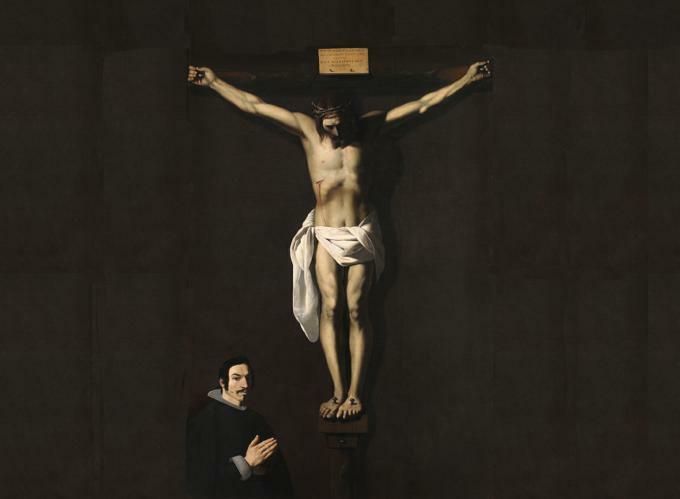 He gives Himself freely to His torturers, confident that, as He speaks in today's First Reading: "The Lord God is My help . . . I shall not be put to shame." Destined to sin and death as children of Adam's disobedience, we have been set free for holiness and life by Christ's perfect obedience to the Father's will (see Romans 5:12--14, 17--19; Ephesians 2:2; 5:6). This is why God greatly exalted Him. This is why we have salvation in His Name. Following His example of humble obedience in the trials and crosses of our lives, we know we will never be forsaken, that one day we, too, will be with Him in Paradise (see Luke 23:42). Seeing and believing. 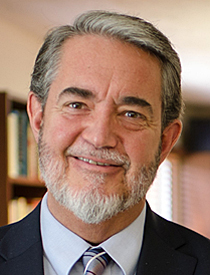 Scott Hahn is the founder and president of the Saint Paul Center for Biblical Theology. He is also the bestselling author of numerous books including The Lamb's Supper, Reasons to Believe, and Rome Sweet Home (co-authored with his wife, Kimberly). Some of his newest books are The Creed, Joy to the World and Evangelizing Catholics.